North American cricket fans frustrated at being unable to purchase Ashes Cricket 2009 on their side of the pond should stay tuned to the Wii Shop Channel in the coming months, as the ESRB has just rated Cricket Challenge. Gameshastra's leather-on-willow title will be the first dedicated representation of the sport to make it across the Atlantic, and although it's not the simulation many will want it's still a good opportunity to don your best cricket whites and take to the crease. 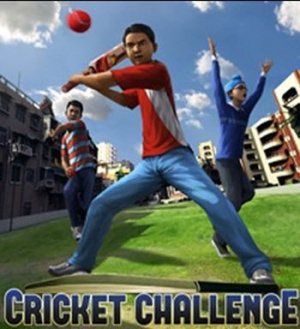 Be sure to read our Cricket Challenge review and stay tuned for the announcement of the game's release date. 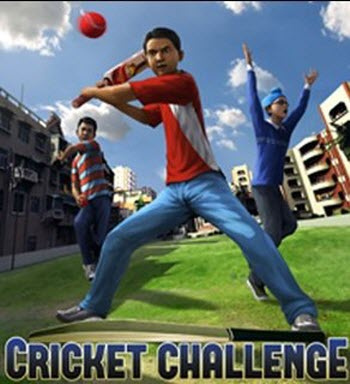 Awww, I would have been interested in a cricket game, if only it were a good one. How many Americans know what a game of cricket consists of? I have seen people play cricket in Canada. There's a set of baseball diamonds near my house and they use the field between 4 of them for cricket. They don't actually have a marking for the boundary: they just set markers out on the few occasions they actually play. @JafriYakin...while I agree that cricket is almost non-existent here in the states...it does exist. A college local to me has a varsity (the only one in the States) cricket team... http://www.haverford.edu/athletics/story.php?id=50591&u=3 . it does indeed. I produced a doc film about cricket in the US, but the times I've tried to join in it's extremely hard if you didn't grow up with it, and have few places to practice batting/ bowling. No place here would dare mar a field by plopping a pitch in the middle for the few that might want to try it. Really only exists here in tight knit indian/Pakistani communities and university towns. This means even a crappy game for us would be pretty welcome, here for the few that want to check it out. I vaguely remember playing it back in high school when we did a number of sports from across the world in gym class. It was a pretty baffling experience, to be honest. We basically just wound up playing a modified version of baseball with fake British accents whenever the teacher left for a smoke. Ah,Cricket.The game i only played once.It's hard,you hit the ball,and run back and forth to get points.It's not easy.Although it's a fun sport,i do find developers try to make a game outta everything!! Get stick cricket on the iPhone. Cheaper and better than this. I'll wait for the day when somebody, anybody, can make a good Wii baseball game without using Koopa Shells and Bob-ombs, or only including a tech demo with four other sports. It's ridiculous how poorly our national pasttime has been treated on the Wii. I so wish the MLBPA hadn't made an exclusive contract with probably the worst possible choice. There still hasn't been anything better in recent years than MVP Baseball 2005. Care to give us a rundown of the rules before the game hits the U.S.?